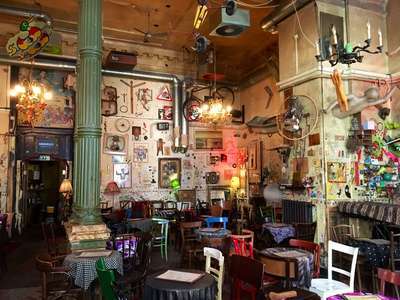 Ruin Bars Budapest - Which Ones Should You Visit? This might sound like these bars are literally set up between ancient ruins, but they are called like this because they operate in run-down buildings. 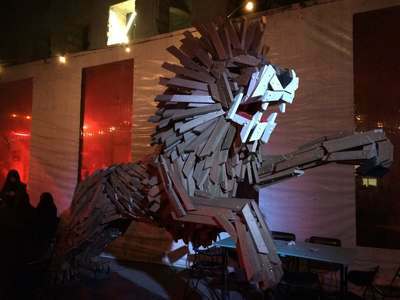 Once you step inside, you'll find yourself in a maze of junkyard artifacts. It's bizarre and styled trashy, yet creative, urban. 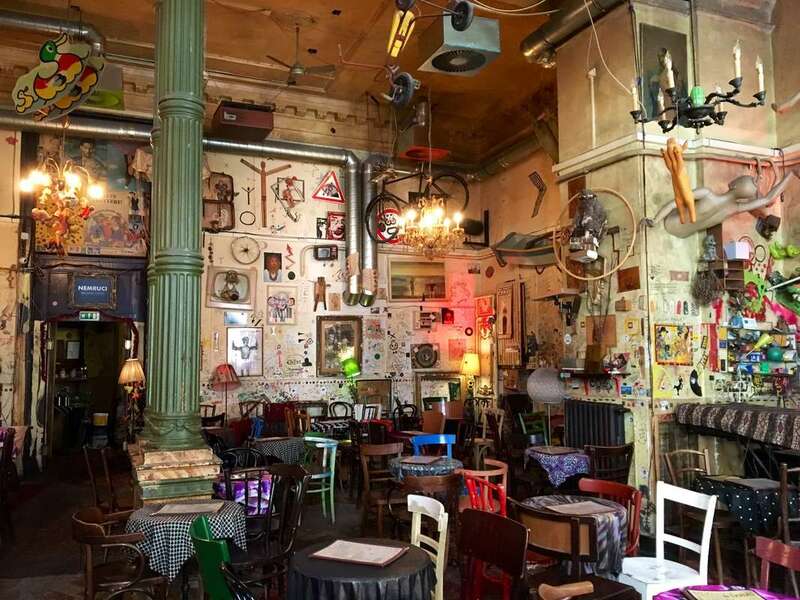 Usually they are packed with mismatched furniture, have an artsy vibe and are located in the Jewish quarter that was left to decay after WWII. 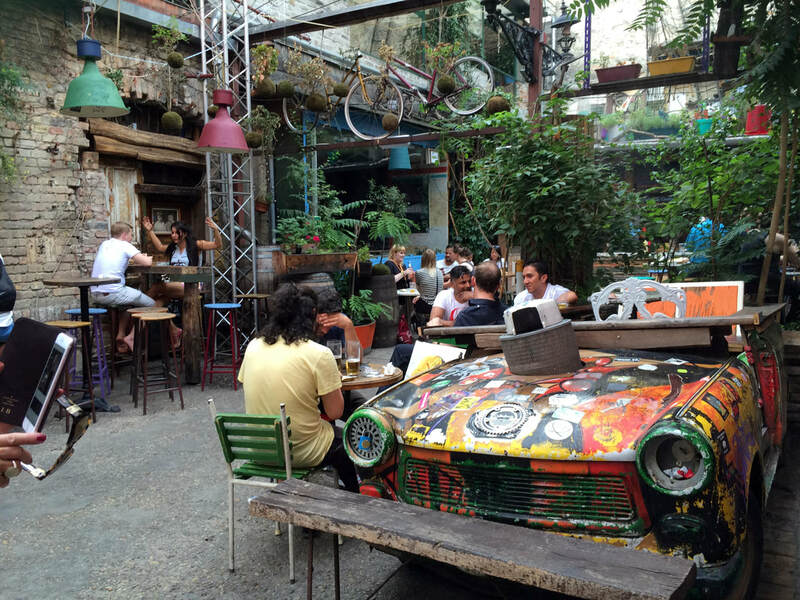 Today, the most famous is Szimpla kert (opened in 2002), where we used to hang out four times per week during our college years, but the original one was Pótkulcs (open since 2001), that was (and is) a lot harder to find. 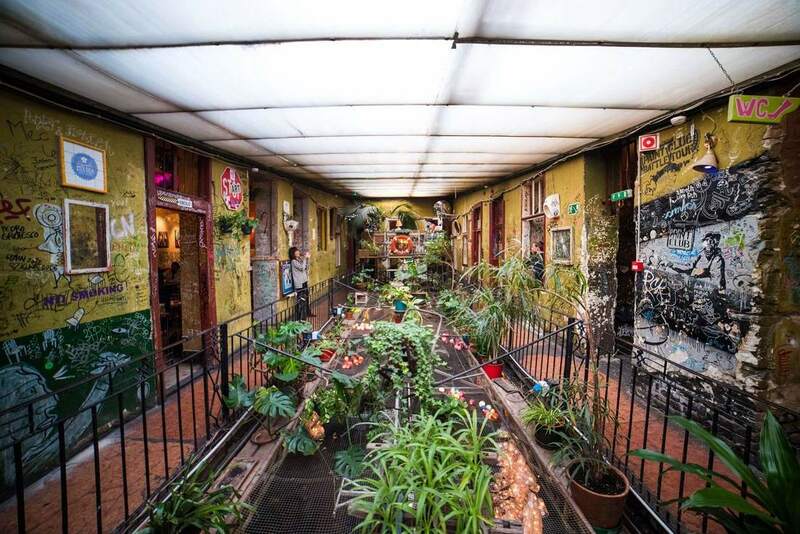 Since these courtyards are sometimes in parking lots during the summer, or are rented out, many come and go or emerge in a different form. Kuplung has closed, Instant has moved, Corvin roof is not open for now. There are fancy ruin bars as well. Let's see which ruin bars you should or could visit in 2019. 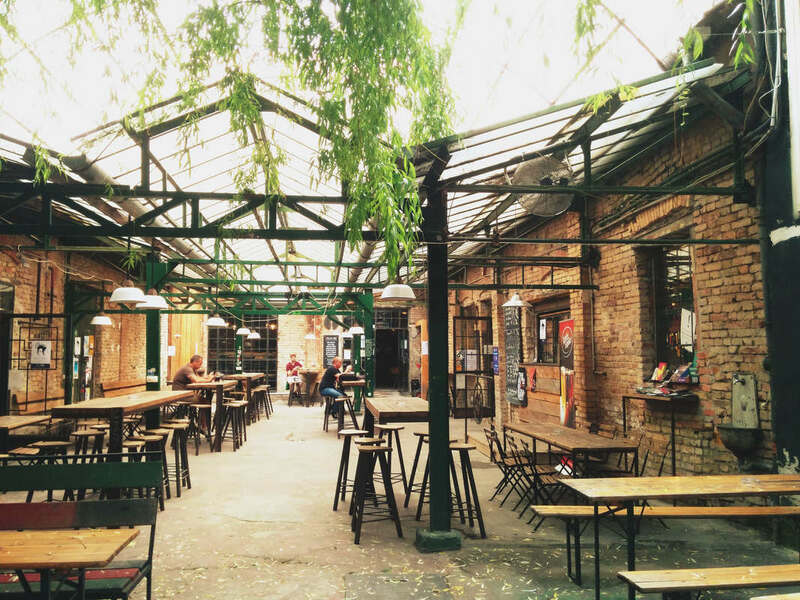 This one's a massive ruin pub / dance club, with an open-air area, numerous bars and dancefloors, so it's easy to get lost inside. There's different kind of music everywhere. From Thu-Fri-Sat are the best nights to come here (except for the summer when it's poppin' even on Sunday). If you go to the restroom, a lady will give you toilet paper, tipping is not obligatory but you'll kind of feel weird if you don't. It is what it is. Bring your ID and show your bags at the entrance - you don't have to pay only if you'd like to skip the line. With its clean interior and big spaces this is a bit different in style than the usual ruin pub with a bunch of random stuff inside. 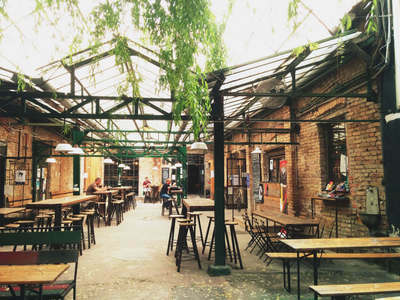 Located in a former factory, Ankert has two courtyards with a large bar as you step in. 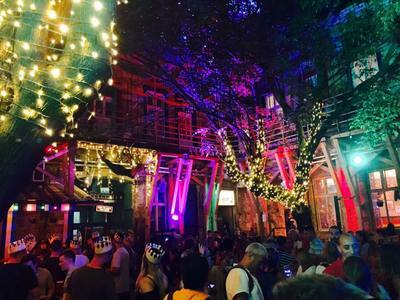 One of the courtyards is open-air, the other one boasts a dance-floor inside. You can play an escape game downstairs and bring your bikes inside to lock them safely. They serve vegan pizza and host vegan markets on Sundays. Look for the big A sign! You'll find Grandio in a 19th-century building that was used as a school and later as a hospital in WW2. Today it's a rad party hostel and ruin bar in one. The jungelesque courtyard has a cool deco: a carrot statue, a big shovel, cherries, lions, masks, portraits, plush animals, books.. and great food! 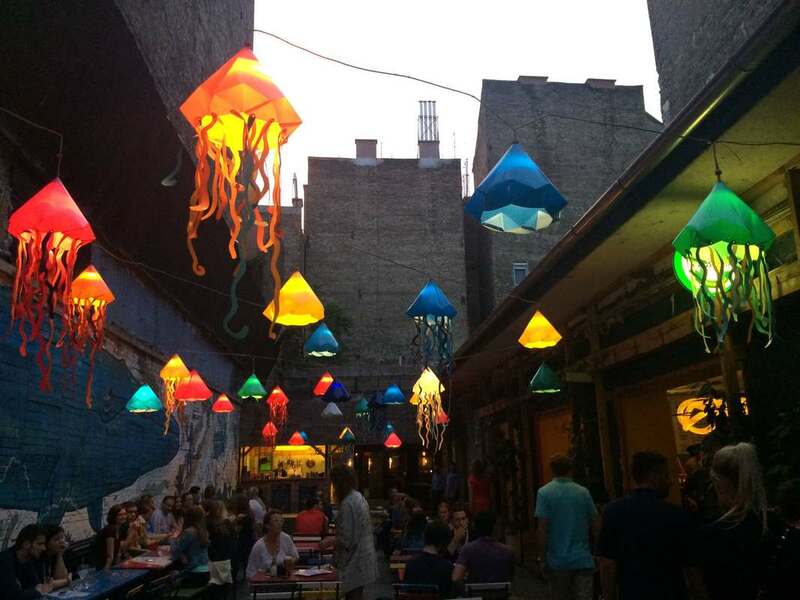 You're most likely to meet travelers here, sometimes you can stumble upon locals, too. This is a great spot if you want to have a drink before heading out to dance. 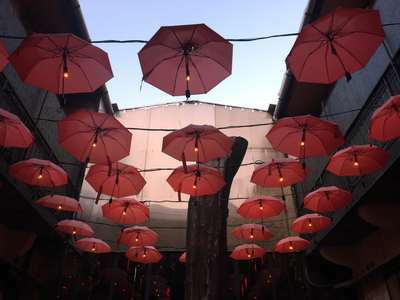 A Mexican-themed ruin pub with tasty tacos, open-air part for the smokers in the courtyard, AND you can play pool. 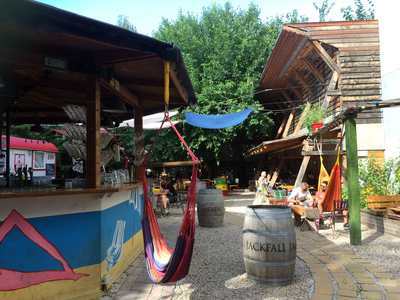 Ellátókert brings together expats and locals alike, it's a cool place with a good vibe, no fancy people, lots of students. Expect a hippie-atmosphere and random encounters. Maybe try to play something on the piano? Details fill follow soon on..